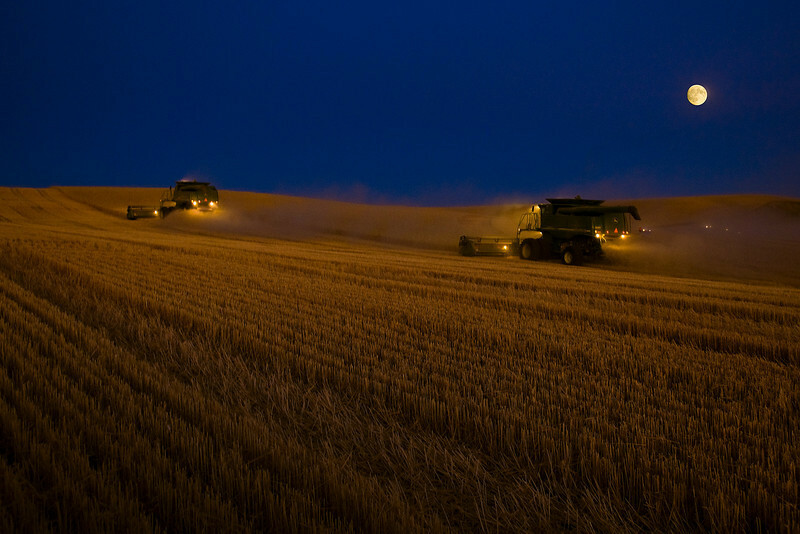 Harvesting by the light of the silvery moon....makes you appreciate the farmer's hard work. I like the crisp colors and lines of this pic. Beautiful.